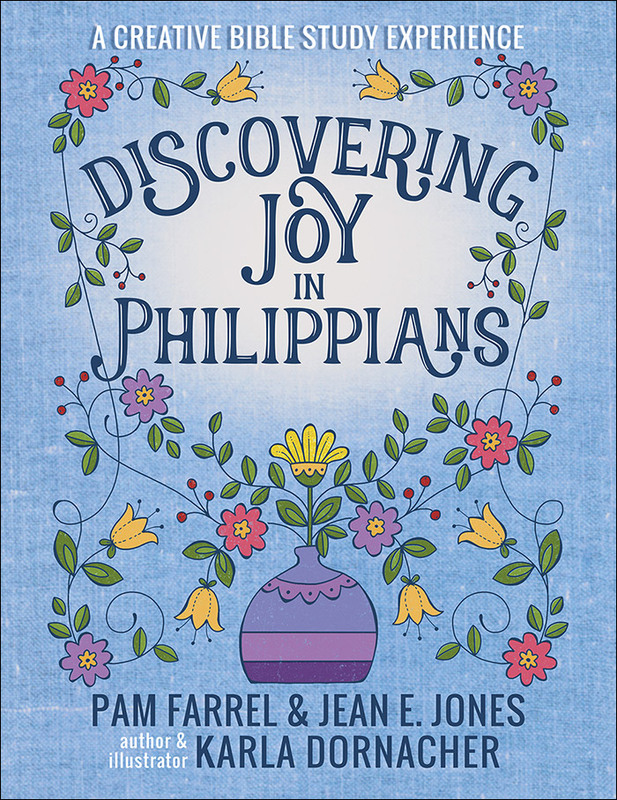 This unique discovery book includes ideas for group studies, verse-inspired artwork to color, fascinating details about the Bible, and online connections and communities so you can build up your joy and build up others! To find out more about the complete series, explore many creative resources, and connect with the authors and other readers, visit DiscoveringTheBibleSeries.com. Jean E. Jones is a Bible teacher, a contributing writer for Crosswalk.com, and a member of Women in Apologetics. She has published in Today’s Christian Woman and Home Life. She’s happily married to her high school sweetheart, Clay, an associate professor of Christian apologetics at Talbot Seminary. 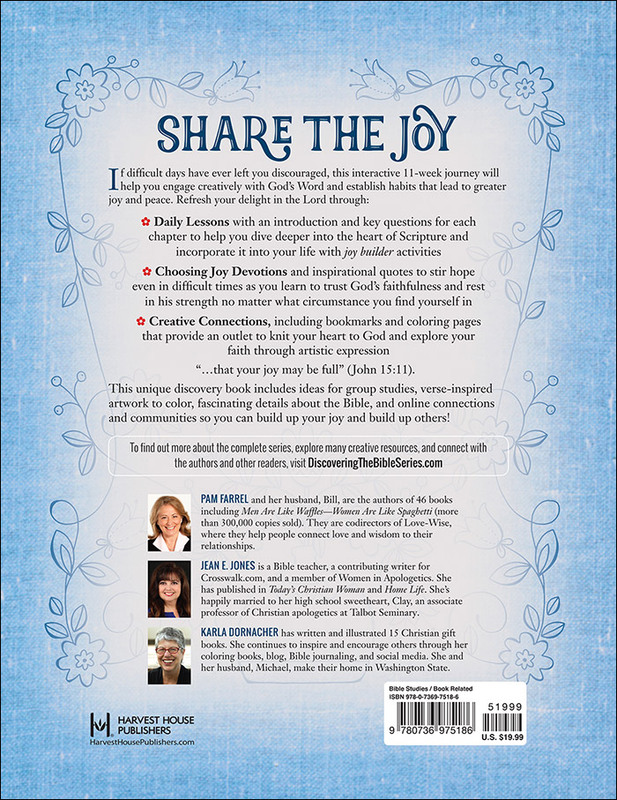 Karla Dornacher has written and illustrated 15 Christian gift books. She continues to inspire and encourage others through her coloring books, blog, Bible journaling, and social media. She and her husband, Michael, make their home in Washington State.